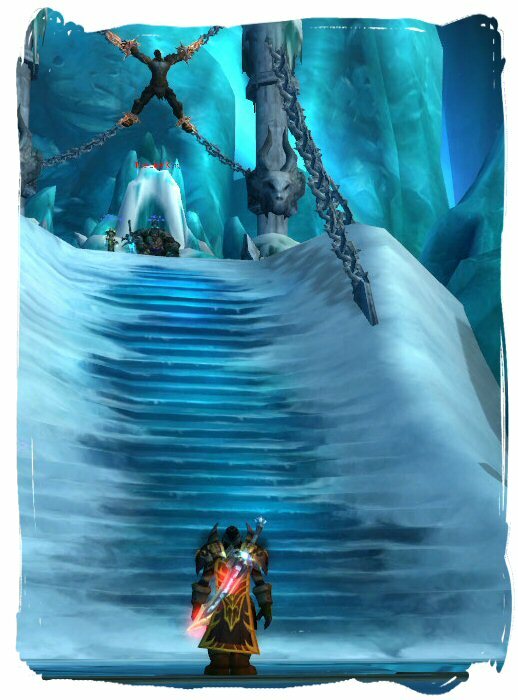 Poor old Bolvar: one week you’re a big cheese at the Wrathgate, the next you’re an ornament on the Frozen Throne. I have to say I didn’t think I’d see the End Game until after Wrath was long gone, but an ID we’ve held onto for a fortnight now came good last night when we downed Dreamwalker and then Syndragosa in an evening.Best try after our first night of work tonight was 67%, which considering the amount of tomfoolery going on in this fight to start with is pretty bloody impressive. Go Guild! I expect some more wiping on Arthas over the weekend: tomorrow is 25 man too, so who knows what manner of stuff may happen? I can tell you what won’t happen though, I won’t manage to complete ICC 10 on P (or indeed the Druid, the Shammy or the Lock) because all have key bits missing: P’s not done the Crimson Halls (which the Shammy has) and W’s got the Frostwing Halls where no-one else has (as she did the double header last night) Given the choice I’d like to do it all on P but you know I’ll cope if it doesn’t happen. Frankly getting to P3 in this fight is going to be the Mother of All Bonuses. I really must dust off my leather gear (ooeer), watch the tactics vids and sign up for ICC again!